Hello everyone. I have wanted to take some outfit pictures for many weeks now because I have new clothes that I’d like to post but it has been raining so much and very cold so I haven’t had much of a chance.Fortunately today I found these pictures stored on my computer which were taken a couple of weeks ago and I have not yet posted. 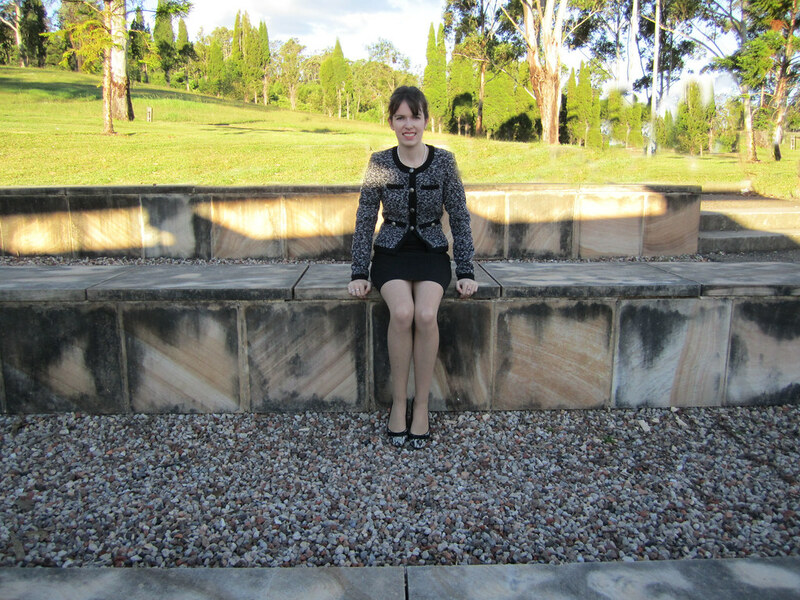 This is the Bardot jacket that I received a couple of months ago for my birthday. It is my favourite jacket, I wear it frequently and I’m sure you will see it on my blog a few other times. I’m still trying to study for exams. I’m certainly not working as much as I should but I’m getting something done and I’ll see what happens. I like to post even when I am busy because its a welcome break from studying but I think this be my last post until after next Wednesday. I cannot wait and I’m already starting to think of all the fun things I plan to do during the holidays. 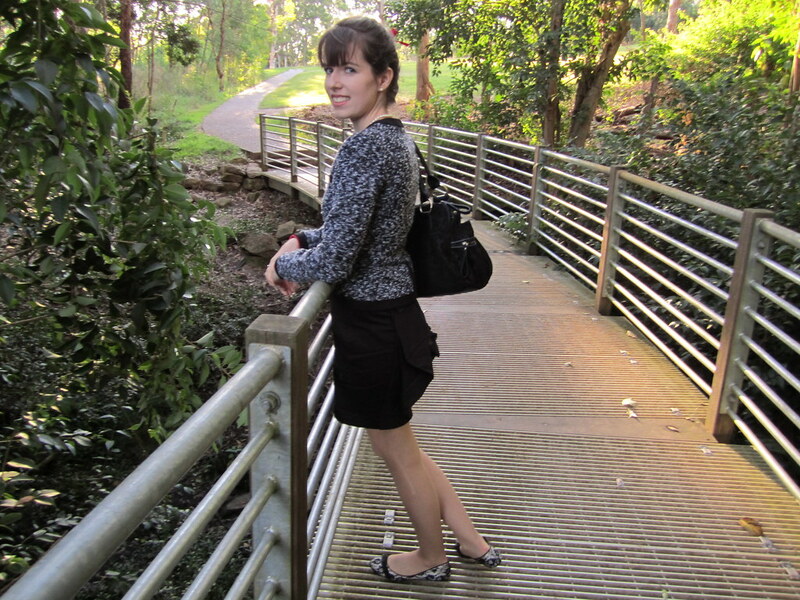 This entry was posted in Bardot, Kmart, Outfits, Review Australia. Bookmark the permalink. Your jacket is so lovely, I adore how 'Chanel' it is! You look so elegant!! I love your jacket, its so Chanel! Great sweater skirt combo! So Chanel! You look lovely, so chic and Chanel. Good luck with the last of your exams! very very classy! i love it. your hair looks wonderful too! good luck with your exams! That jacket is amazing. It does look very cool. And your shoes are so cute. 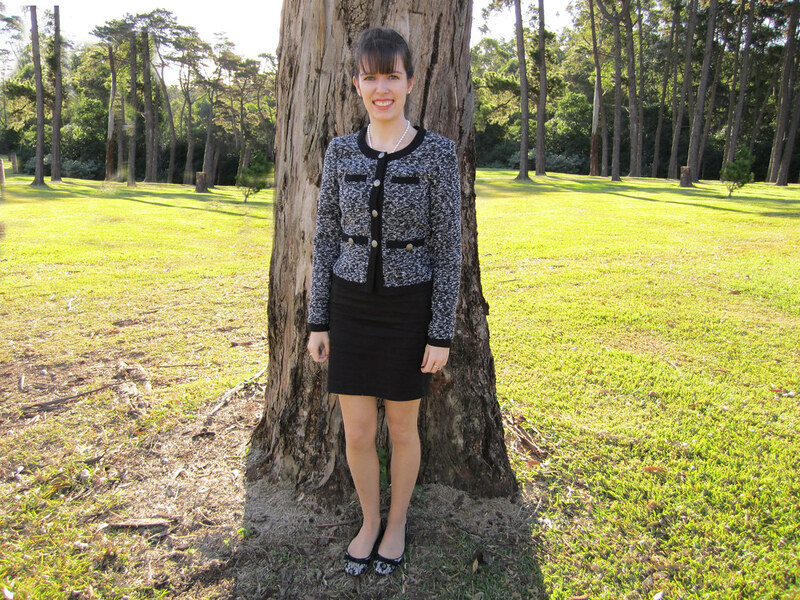 Your message and prayers helped me through a very rough patch, Imogen … thank you so much! Isnt it the best feeling when holidays are almost here! I love your jacket so much ! Ohh good luck for the exams !